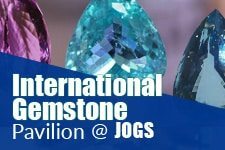 Every year the JOGS Show brings exhibitors from 26 countries for the annual Tucson Gem Show. 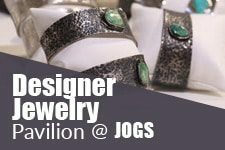 The Show is broken down into Pavilions, each focused on different aspects of the Gem & Jewelry industry. 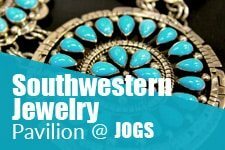 The show offers a wide variety of products, from rough materials all the way to fine finished jewelry. Here’s a taste of what you can find at the Show. 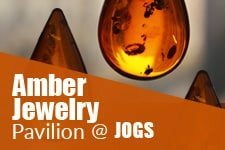 Top amber direct manufacturers and designers bring a large variety of amber cameos, carvings, beads and jewelry. Click here to read more about the Amber Pavilion and view photos. Click here to read more about the Southwestern Pavilion and view photos. Click here to read more about the Gemstone Pavilion and view photos. 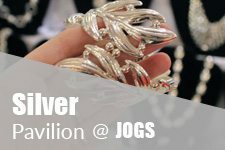 Click here to read more about the Designer Jewelry Pavilion and view photos. 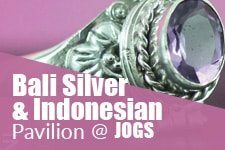 Click here to read more about the Bali Silver Pavilion and view photos. 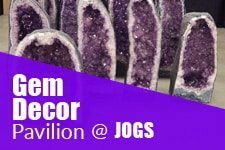 Click here to read more about the Stone/Mineral Decor Pavilion and view photos. 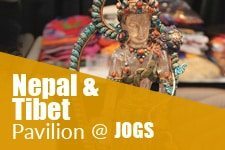 Click here to read more about theNepal & Tibet Pavilion and view photos. 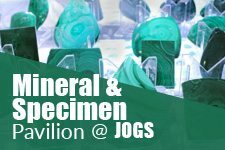 Click here to read more about the Mineral & Specimen Pavilion and view photos. Gemstone & Crystal lovers will find “heaven” at the Show. 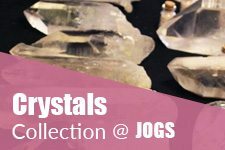 It’s easy to find crystals and gemstones of all types – from amethyst and citrine to aqua aura quartz and more. Click here to read more about the Crystals at the Tucson Gem Show and view photos.